Despite hawks’ chest thumping, what the ongoing talks have shown is a path to success, says Robert Dreyfuss. A glimmer of optimism has surrounded the talks between Iran and the P5+1 world powers since the current round resumed in April. While it’s unlikely that there will be a breakthrough soon, and probably not until after Iran’s 2013 presidential elections, that’s no reason not to continue talking. Following expert-level talks in Istanbul on July 3-4, an agreement was reached to have deputy-level negotiators meet again soon, and according to a document circulated by Iran’s diplomatic mission to the United Nations, Tehran has proposed regular meetings, at three-month intervals, between its negotiators and the P5+1, represented by Catherine Ashton of the European Union. Despite an outcry from neoconservatives and hawks in the United States that Iran is merely playing for time, that—time—is not a bad idea. In the meantime, has anything been accomplished since April? What’s emerging from the talks, so far, is a hazy outline of a path to success, a kind of step-by-step process that might start with Iran agreeing to suspend production of 20-percent enriched uranium, shipping most or all of it out of the country, in return for a slight or symbolic easing of economic sanctions against Iran. Further steps might follow, with additional easing of sanctions tied to more confidence-building measures by Iran, such as greater transparency about its nuclear research program, perhaps along with peripheral accords on regional issues, drug-trafficking, piracy at sea and Afghanistan. Those steps conceivably could lead to a more comprehensive accord, in which the P5+1 formally accepts Iran’s right to enrich uranium, on its own soil, to 5 percent purity, in exchange for Iran accepting limits on its enrichment, complete transparency, and unfettered inspections of its facilities by the International Atomic Energy Agency, hopefully including interviews with its top nuclear scientists. In the first round, held April 13-14 in Istanbul, there was indeed an air of optimism. To be sure, the United States led the P5+1 in what appeared to be a relatively hard-line opening stance, demanding the immediate shutdown of a fortified, underground refining facility at Fordow, outside Qom, a complete halt to Iran’s 20 percent enrichment and the transfer of its stockpile of that material to a third country. But what was missing, it seemed, was an explicit demand from the United States for Iran to halt all enrichment, even to 5 percent, even though a set of United Nations Security Council resolutions demand exactly that. And behind the scenes, there were reports that President Obama has quietly signaled Ayatollah Ali Khamenei, Iran’s leader, through Turkey that the United States “would accept an Iranian civilian nuclear program if Supreme Leader Ali Khamenei can back up his recent public claim that his nation ‘will never pursue nuclear weapons.’” Following the talks, Ashton explicitly noted the gradual nature of how she expected the talks to unfold. “We will be guided by the principle of the step-by-step approach and reciprocity,” she said. 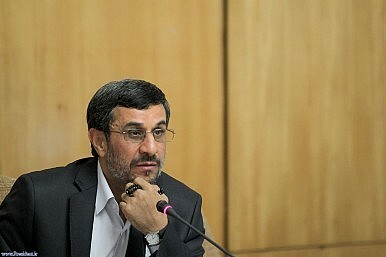 Despite intensified economic sanctions against Iran, widespread reports of cyber sabotage of Iran’s program by the United States and Israel, and apparent confirmation that Israel has been conducting an aggressive campaign of assassinations directed at Iranian scientists, not only did the talks continue but U.S. officials also emphasized that chances of an open military conflict involving Iran and the United States and/or Israel were fast receding. Before and during the second round of talks, held May 23-24 in Baghdad, optimism continued to build, even among American negotiators, although at least some of that optimism may have been the result of the misguided belief that economic sanctions would force Iran into unilateral concessions. On the eve of the talks, the IAEA announced that it had reached a tentative accord with Iran on inspecting at least some of Iran’s secret military facilities, although that accord later stalled. From Iran, there was a host of positive signals about Tehran’s willingness to compromise in the talks, and although Western diplomats complained of difficulties in the talks in Baghdad, the talks there were at least detailed and delved into specific matters involving Iran’s program. And once again, Ashton said that enough “common ground” was established for another meeting in June. For its part, Iran reportedly insisted on open and official recognition of its right to enrich, at least to 5 percent. While acceptance of that right will undoubtedly be part of a final agreement, Iran’s negotiators, including Saeed Jalili, must have fully understood that it will come at the end, not at the beginning, of the talks. On the other hand, perhaps under U.S. pressure, the P5+1 offered Iran little to nothing in return for Iran’s agreement on its more controversial enrichment to 20 percent, reportedly offering a hodge-podge of spare parts for Iran’s fleet of civilian aircraft and help with nuclear safety. If a further step by the P5+1 to accept enrichment to 5 percent was implicit, it wasn’t made explicit. And in any case, to Iran’s chagrin, it wasn’t linked to any easing of economic sanctions. Yet, according to The New York Times, Iran’s demand for the P5+1 to accept enrichment to 5 percent was “never put into writing.” As we shall see, that would change. But after the Baghdad talks, Iran’s leaders unanimously chorused that under no circumstances, sanctions or not, would it sacrifice its 5 percent enrichment program, and Iran’s nuclear chief said that neither would Iran halt enrichment to 20 percent.